Align 1 square of focus fabric and 1 square of background fabric right sides together. Draw a diagonal line through the square. 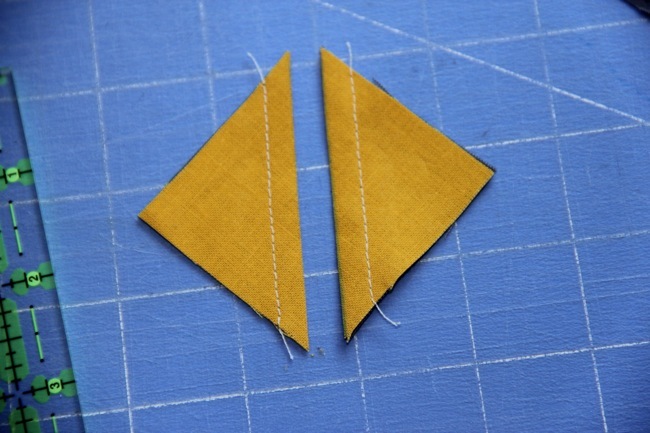 Sew a line 1/4 from each side of the marked line. 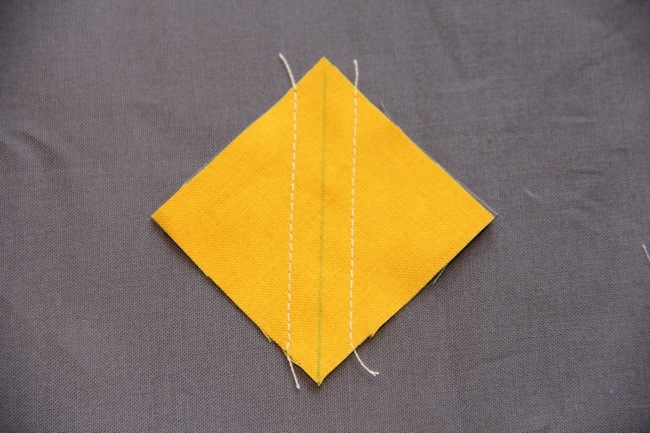 Cut the square in two along the line. Iron each of the 2 halves open. 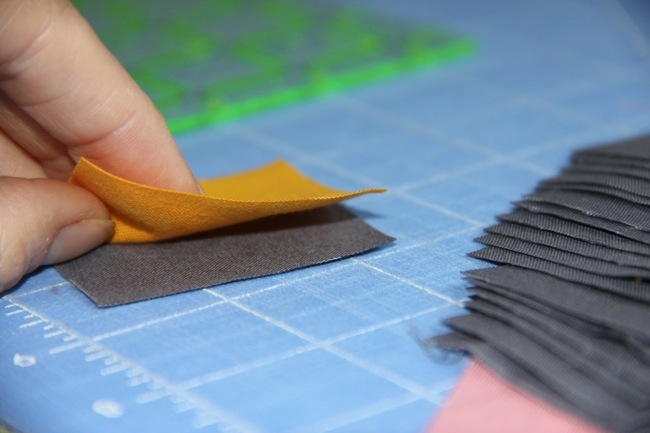 Trim each to 1.5 inches. Repeat 14 times. 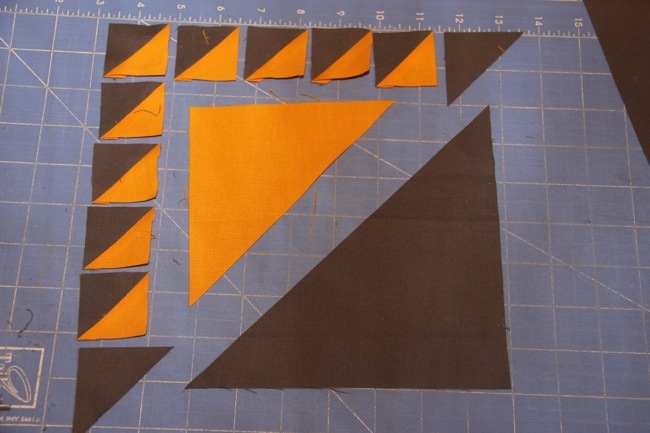 You will end up with 10 half square triangles from each of 3 fabrics, but you only need 9 of them. 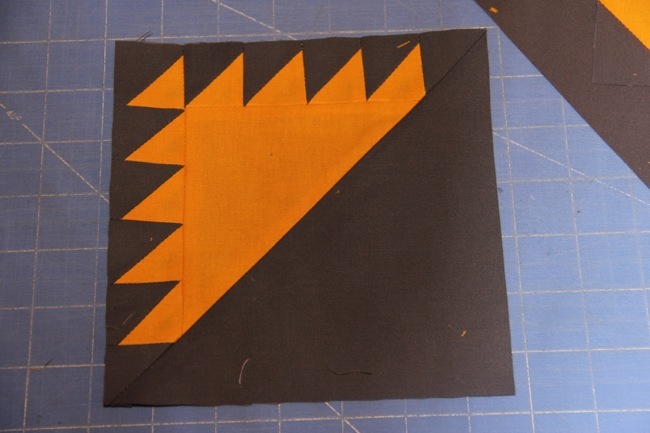 Cut the remaining 3 squares of background fabric in half on the diagonal. 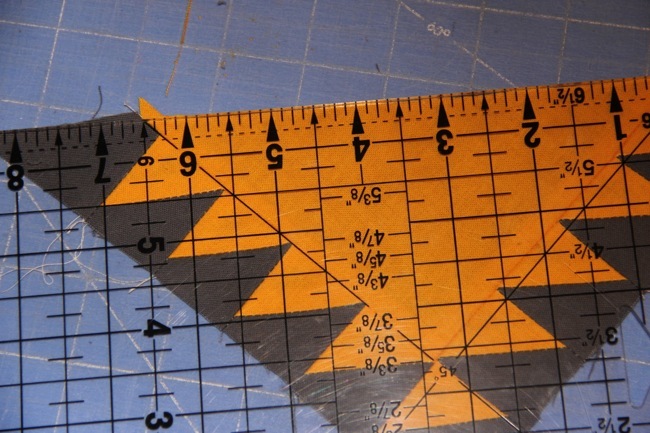 Begin with one of you 6-inch half square of focus fabric. 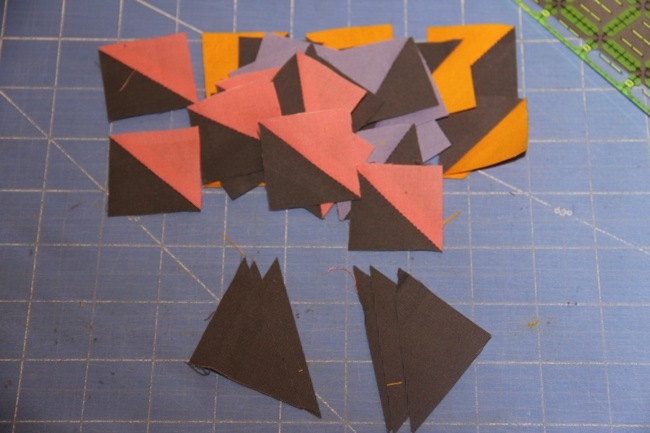 You will add the small half square triangles along two edges. 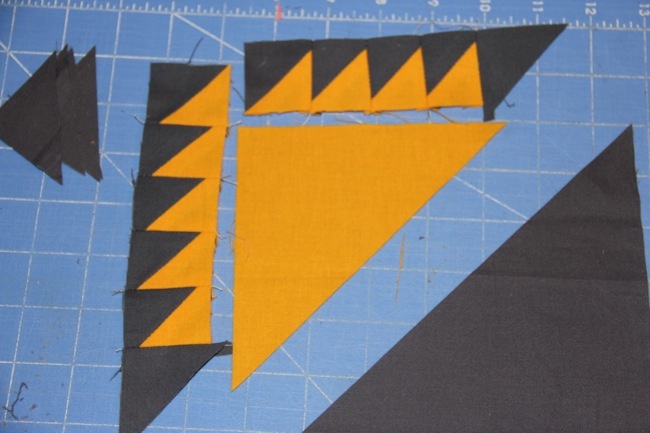 All small HSTs will face the same direction. 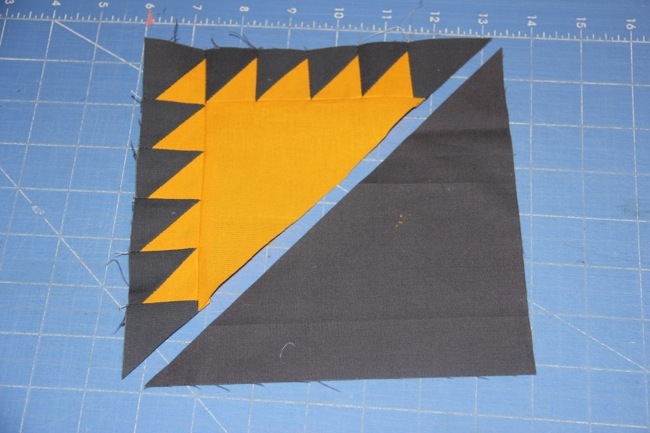 Sew 4 of them together horizontally, and add an extra half square of background fabric to the end. 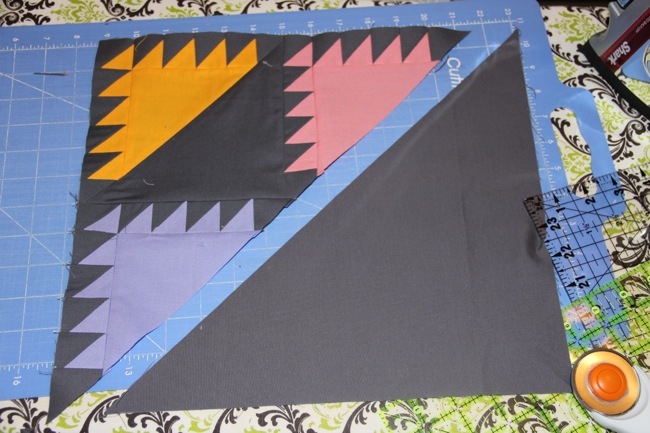 Sew 5 more small HSTs together vertically and add an extra half square of background fabric to the bottom. 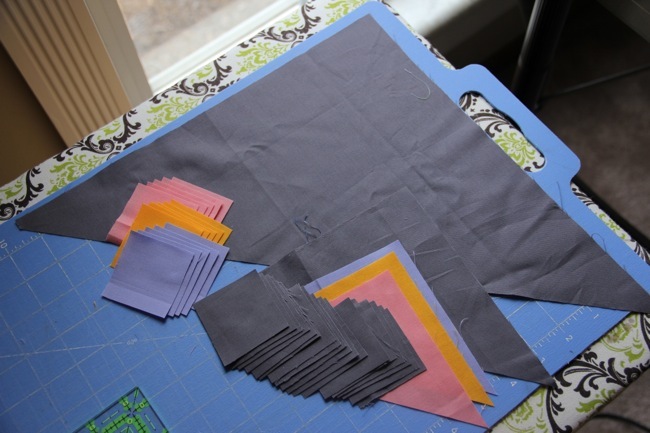 Attach first the shorter piece and then the longer pieces to the large half square of focus fabric. 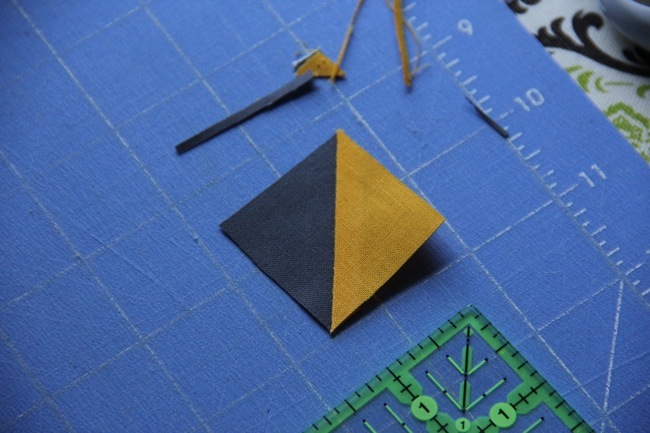 Trim the long edge of the triangle so it is 45-degrees from each of the other edges. 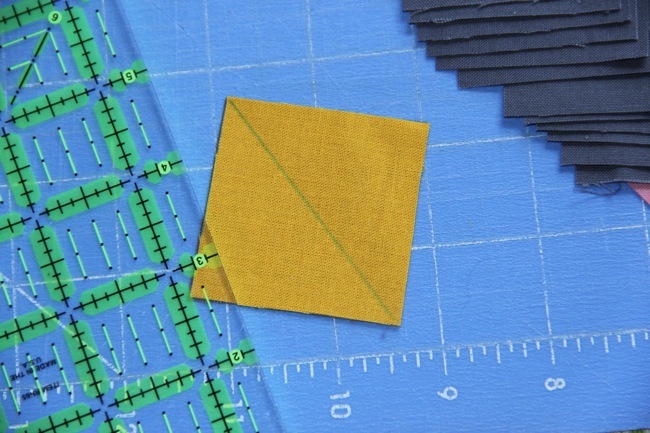 Sew this piece to the 7-inch half square of background fabric. 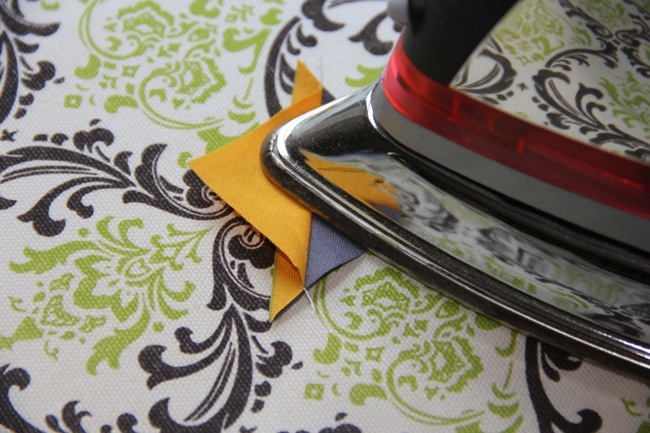 Trim the resulting square to 6.5 inches. 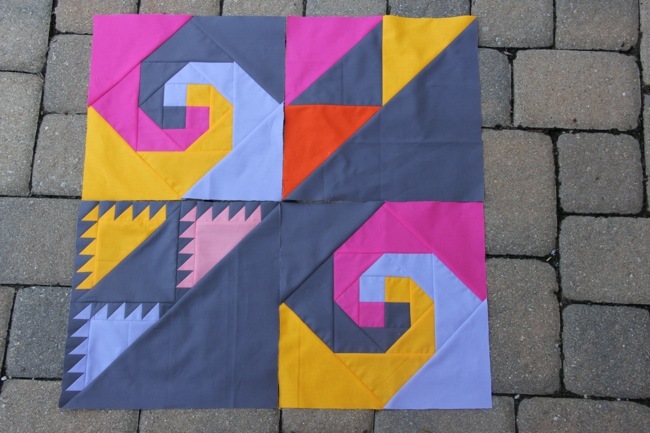 Create 2 additional feathered triangles by the same method and sew one to each remaining edge of the background fabric half square. 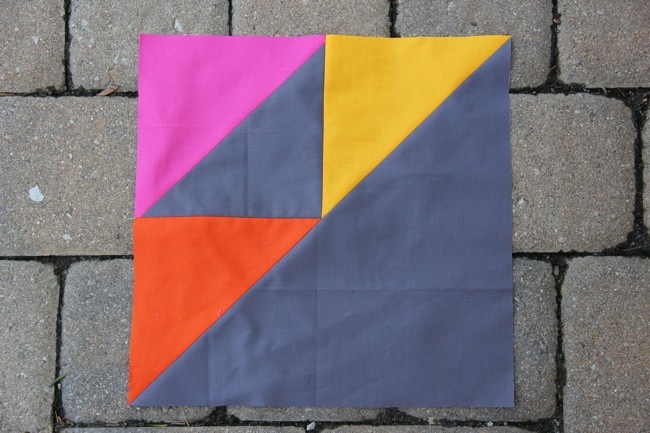 Sew this entire piece to the half 13-inch square of background fabric. Trim your Maryland Beauty block to 12.5 inches. If you agree with my husband and think “why would I do that to myself?”, there is a short cut to this block. It’s much easier to put together, but just remember: it’s not nearly as awesome! 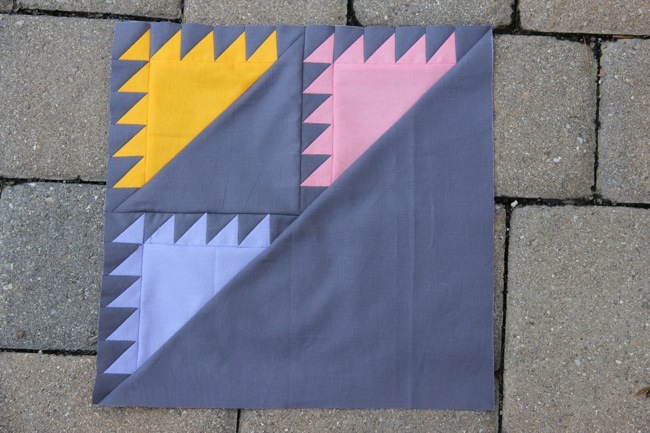 Put the block together just as the direction indicate, but instead of constructing and then using the feathered triangles, you’ll just use the 1/2 7-inch squares. I love this! It is so pretty. You did an awesome job! Thanks for the tutorial showing us how you made it. I still love your curly que ones! So cool! But I like this one too. Seems a bit beyond a beginners level though, huh? 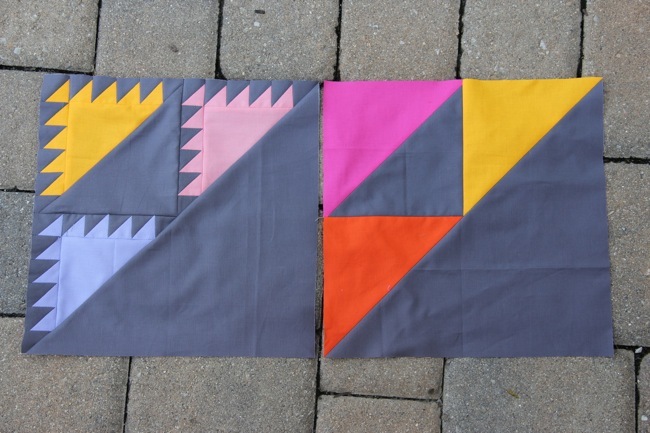 So do you just see pictures of these blocks and then figure out how to make them yourself, or do you get instructions from somewhere and then make them fit what you’re trying to do?